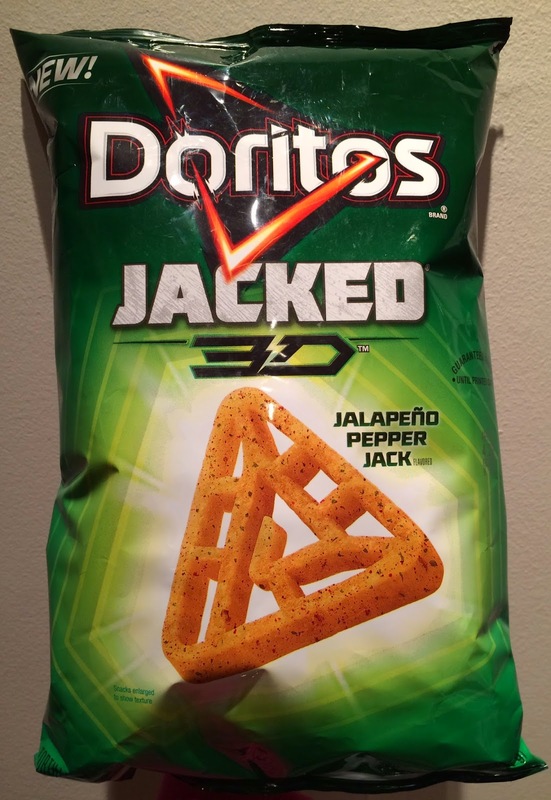 We found a new Doritos at a supermarket in Connecticut, and it's called Doritos Jacked 3D Jalapeño Pepper Jack. 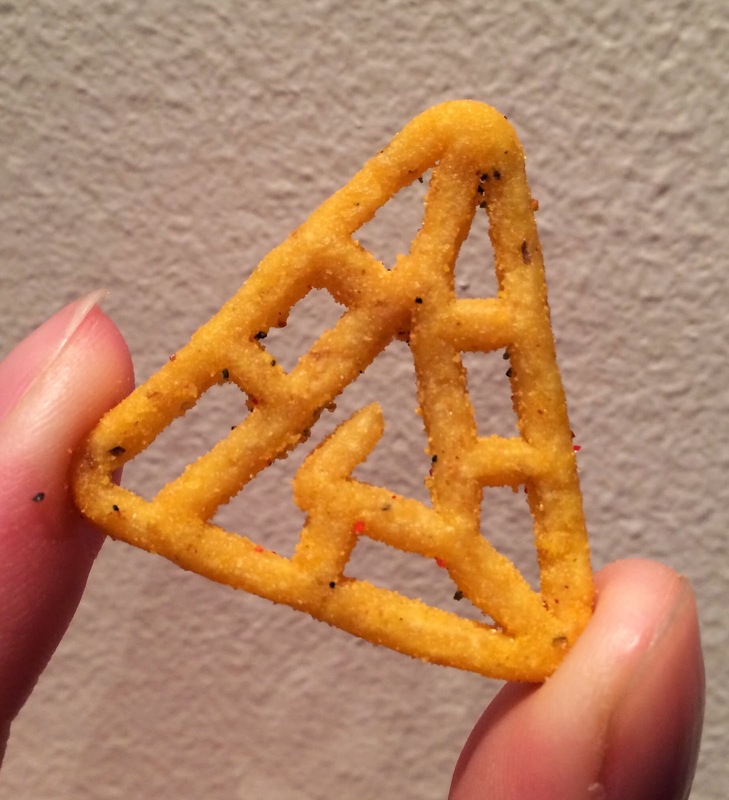 "Enter the next dimension of crunch with the intense flavor of these bite size triangles. Bold things come in 3D!" <-- I didn't really understand the line but I guess they mean everything in 3D tastes better. 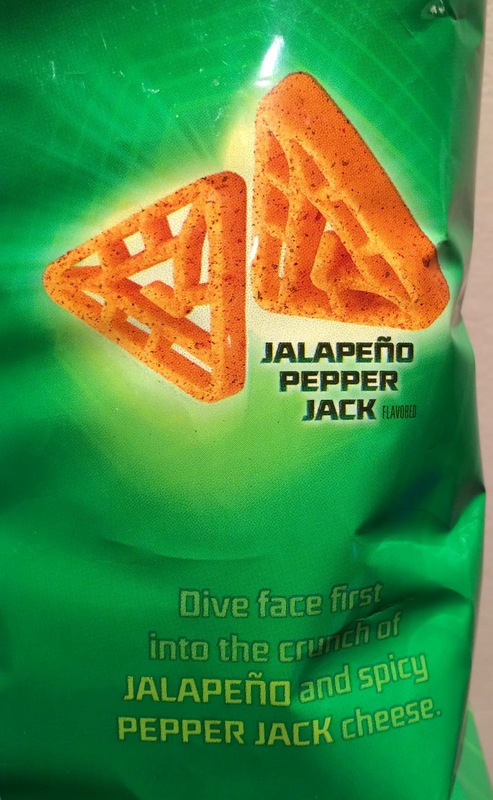 "Dive face first into the crunch of jalapeño and spicy pepper jack cheese." When I opened the bag, very strong cheese and jalapeño flavors came out. 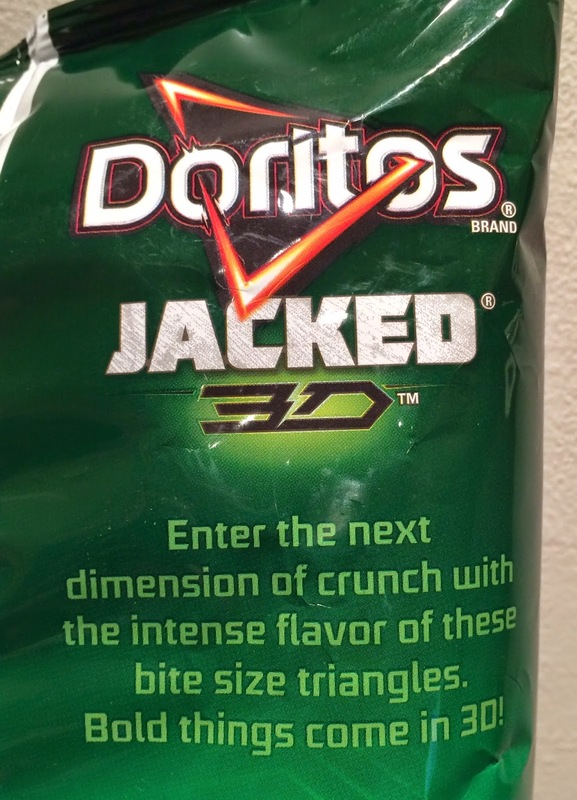 And I was also surprised to see how small the triangles were as I thought each piece would be larger because Test Flavor Jacked were larger and thicker than regular Doritos as this product is named Jacked. The triangle was about 4cm (1.6 inch) each. The thickness was about 5mm (0.2 inch). The spiciness was actually intense and I felt the heat, and the texture was really crunchy. To compare with regular Doritos, it's not crispy but very crunchy and rasping. 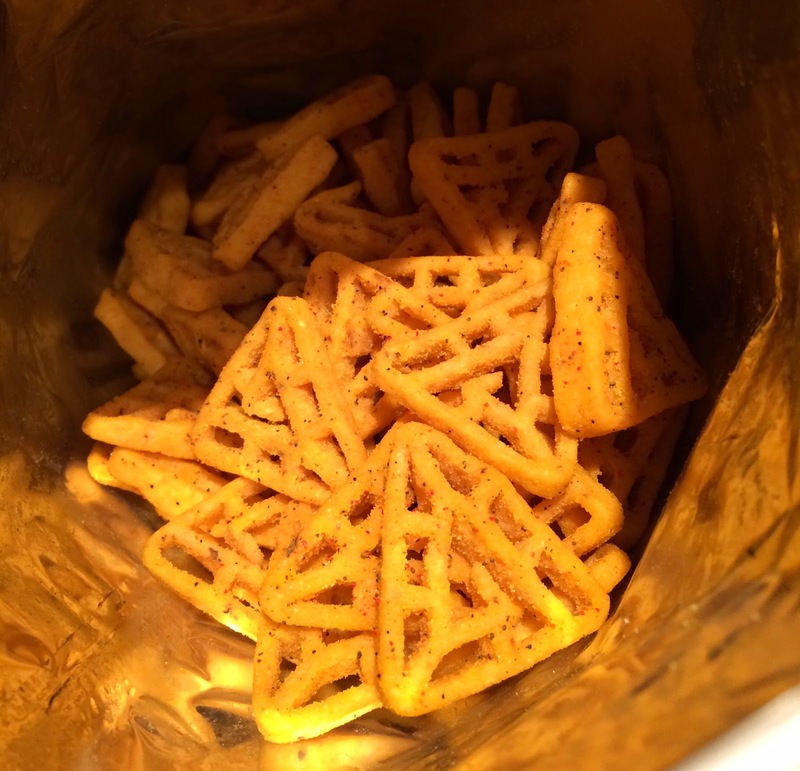 Though I like spicy foods an snacks, the balance of the flavor and the texture wasn't good since both the spiciness and the 3D shape were both too powerful. I think Doritos Jalapeño & Cheddar (I haven't reviewed) available in Canada is much better.